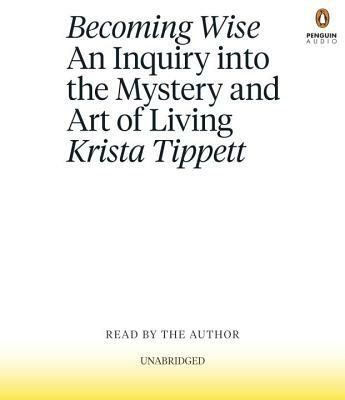 In this audiobook edition of Becoming Wise, the voices of more than forty beloved guests of “On Being” are interwoven with Krista Tippett's reading in a deeply personal mode. This book offers a grounded and fiercely hopeful vision of humanity for this century – of personal growth but also renewed public life and human spiritual evolution. It insists on the possibility of a common life for this century marked by resilience and redemption, with beauty as a core moral value and civility and love as muscular practice. Krista Tippett's great gift, in her work and inBecoming Wise, is to avoid reductive simplifications but still find the golden threads that weave people and ideas together into a shimmering braid. One powerful common denominator of the lessons imparted to Tippett is the gift of presence, of the exhilaration of engagement with life for its own sake, not as a means to an end. But presence does not mean passivity or acceptance of the status quo. Indeed Tippett and her teachers are people whose work meets, and often drives, powerful forces of change alive in the world today. In the end, perhaps the greatest blessing conveyed by the lessons of spiritual genius Tippett harvests in Becoming Wise is the strength to meet the world where it really is, and then to make it better.